Listed Building Consent for Ground floor. Original historic drawing of property. 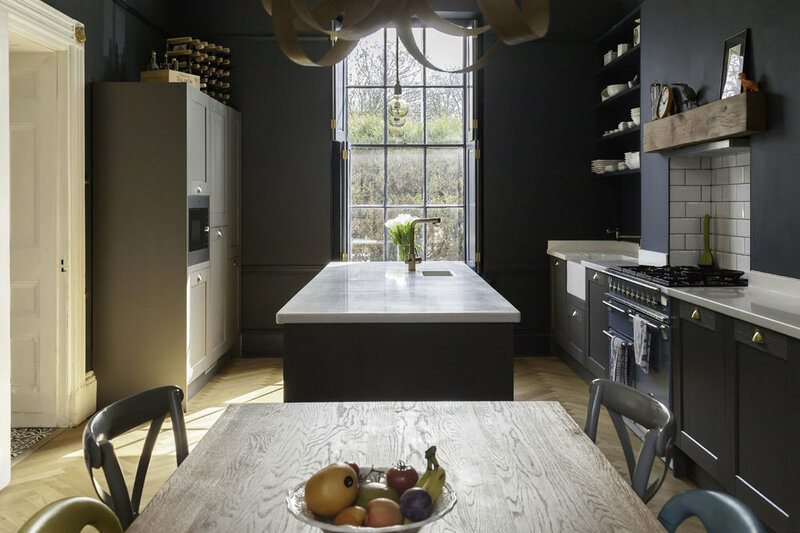 Reconfiguration of a young familys Grade-II Listed Georgian townhouse to provide contemporary live-work space including an open-plan kitchen with access to garden terrace and basement conversion to an artisan picture framer’s and studio space. 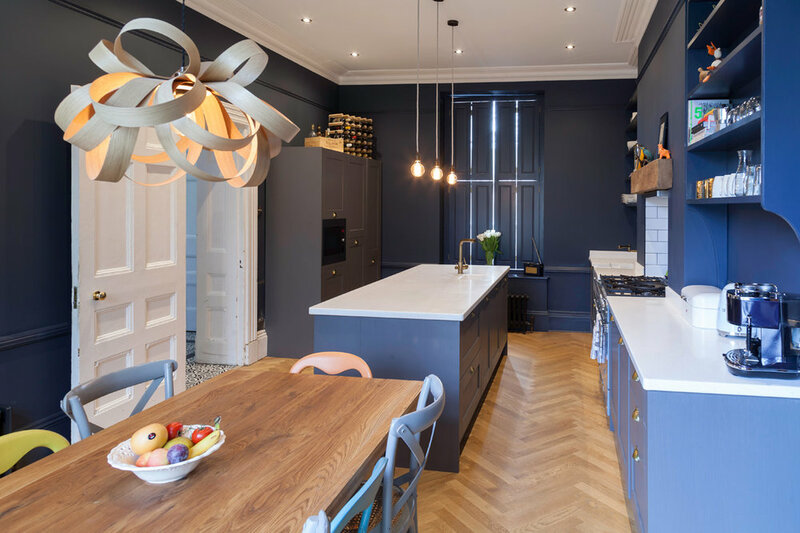 The design of the kitchen saw two rooms connect into one achieving a well proportioned open-plan space with impressive floor to ceiling height. A notable contemporary feature is the large kitchen island on axis to the space and central to the original shuttered window. 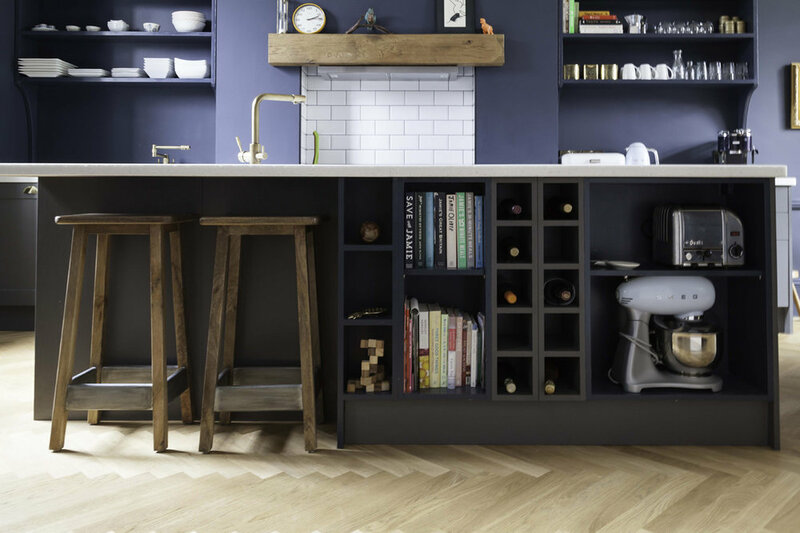 Wall cupboards are omitted, instead replaced by a modest bank of units to one side and large worktop with under-counter storage opposite featuring a range cooker set within a chimney breast. Wall storage is provided by traditional shelving. We maximised the dining space by positioning this to the garden side of the wing, a new bespoke French door set opens out to a paved terrace allowing the outside in and inside out. The new door opening features a beautiful gauged brick arch. To unify the space and the client’s aesthetic wishes a contemporary herringbone floor of light oiled oak was specified throughout drawing daylight across the space. 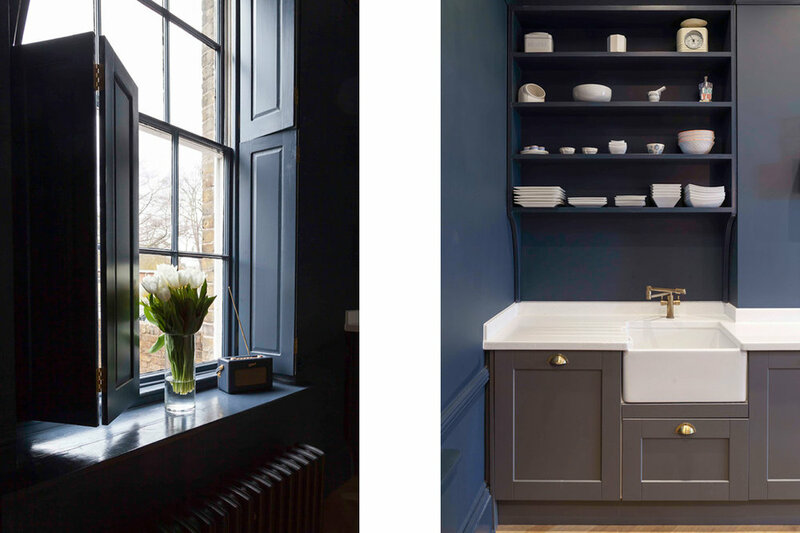 In contrast walls and joinery are finished in deep blue, referencing the kitchen units. 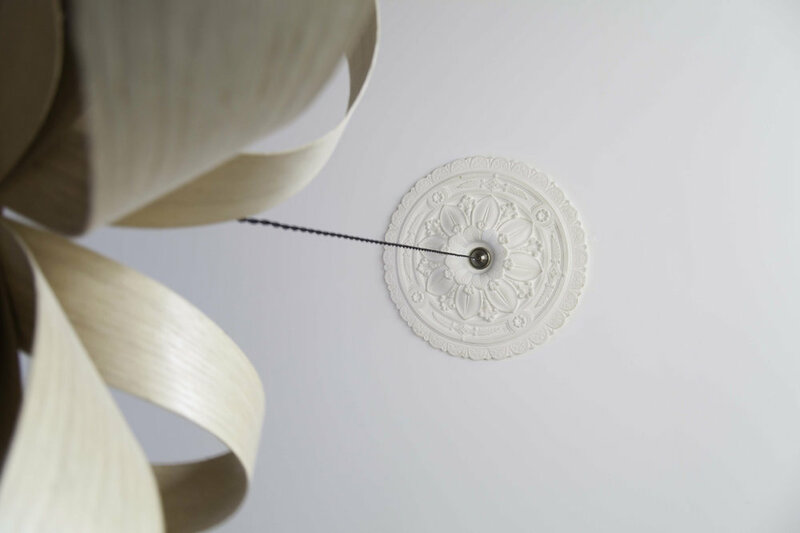 White contemporary Corian worktops juxtapose the white ceiling which features a new plaster cornice and plaster ceiling rose with modern lighting. 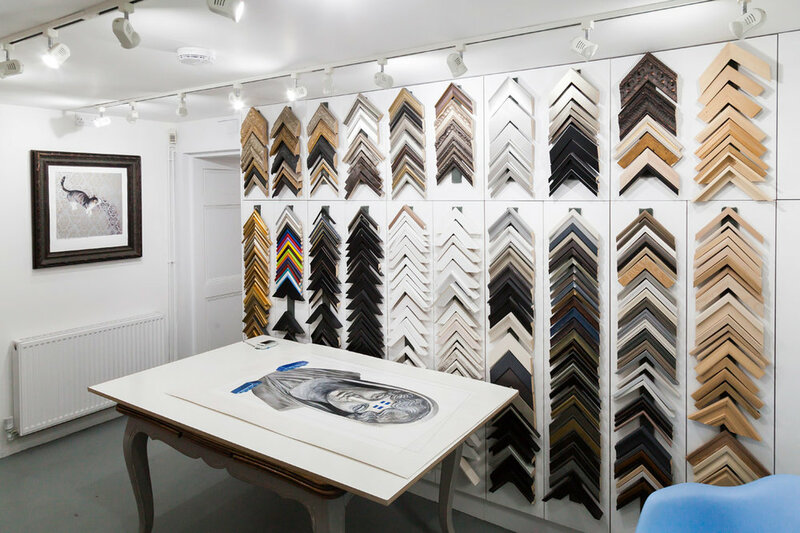 The basement was fitted out to provide high quality and robust facilities for the artisan picture framer Blueswift. 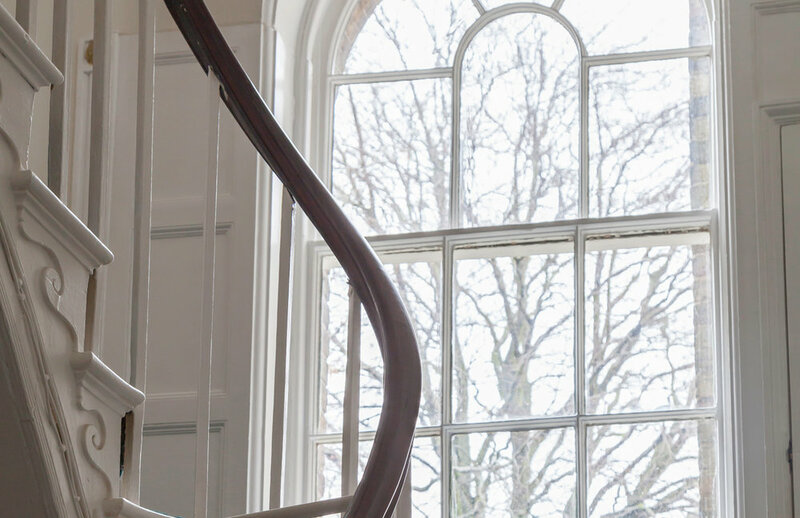 Spaces include main workshop, archive, print room, kitchenette, lavatories and gallery display space.